Existing Customer: have made purchase with Sephora. Extension tracking does not work for Sephora, Clickthrough via ShopBack to ensure that your Cashback is tracked. Do you like free samples? We know we do. Shop now and have Sephora gift you a little surprise! No one likes paying for shipping. Get FREE shipping when you spend over $55 on Sephora! One of the most innovative organizations in the world, this French company is worth billions of dollars. It has close to 300 brands associated with its name. It is established in 33 countries and currently has 2,300 stores operating around the world. Their flagship store at Champs Élysées in Paris attracts more than six million visitors and customers each year. Sephora USA has seen the 400th location of the company, which is also a flagship store, opened in Chicago in 2016. Sephora offers in Australia have had a great impact on cosmetic shopping as thousands of customers shop with them. If you are looking to get prettier and more beautiful, Sephora has the answers for you and they definitely live up to their name. This huge cosmetic brand started in Paris in the year 1969. The trademark selling strategy of assisted self-service, was implemented at Sephora by its founder Dominique Mandonnaud. This move was revolutionary and it has changed the way cosmetics were bought and sold. In 1997, LVMH bought Sephora and it has further developed the company. After the buyout, Sephora has also launched many new products (almost always with Sephora discount) and people of all different lifestyles have had a chance to buy these magnificent products. They are continuing to rock the world of cosmetics! Products of Sephora are sold at Sephora online and at any Sephora stores. If you want to get information on the closest Sephora store, you can search for Sephora locations on the website through the store locator or you can do a google search for ‘sephora near me.’ Now, the question on our minds is what are the products of Sephora? You may have a Sephora voucher that you are waiting to use. 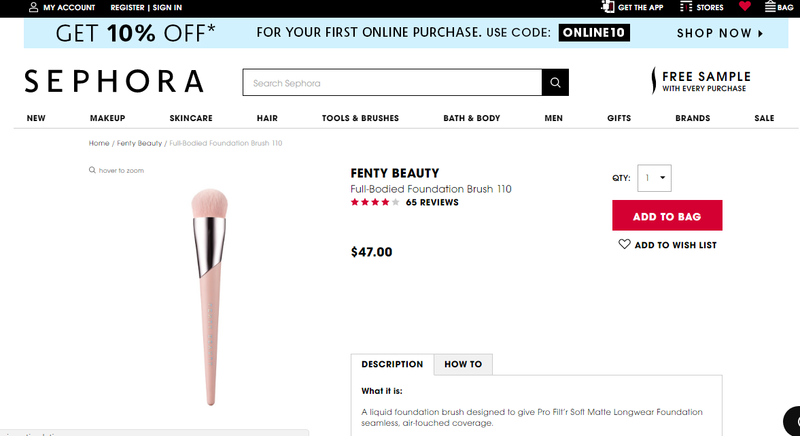 So let us look at the products sold at Sephora first. Wellness - Wellness products such as natural supplements, Daily Ritual, etc., are available in this section. Sephora makeup - The Sephora make up products are fantastic. They are the primary reason for Sephora’s success and popularity. Products such as creams, nail polish, mascara, lip balms, etc., can be found here. Skincare - Masks & treatments, toners, skincare sets, and much more from Sephora will make your skin look tender, soft and healthy. Hair - If you are looking for hair styling or treatment then Sephora has products that can suit your need just perfectly. Tools & Brushes - Tools such as face brushes, pedicure sets and many more are found here. Bath & Body - Bath and body products such as body wash, sun tanner, hair removal and many more are important to achieve your elegant looks. Fragrance - Do you want to smell good? Check out the mesmerizing fragrances from Sephora. Brands - You can shop from all the 300 Sephora brands associated with developing a wide range of products. Simple & Easy - That is the best way to describe shopping at Sephora. Let us look at how you can shop online. 1. Choose your product and add to bag or cart. 2. You can then proceed to the next step of checkout. Choose your free samples and you can redeem your rewards through Sephora coupon code or Sephora voucher code or any other rewards associated. 3. After entering the shipping information, select delivery method. 4. You will then be taken to the payment section. Make the payment and the product is all yours. They will be shipped on the scheduled time and dates. Orders which are $55 and above have free standard shipping within 3-8 business days. So, you do not have to worry about losing money on shipping costs. They have a very convenient return policy. They will replace or refund a defective item when you follow their return procedure. A Sephora coupon or credit voucher will be provided if its more than 60 days. 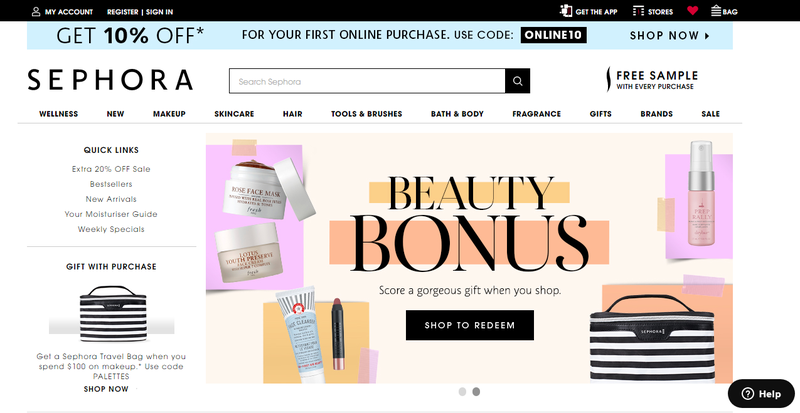 Sometimes you may be facing a hard time with a Sephora promo code or Sephora discount code. There are other problems you can face too. To address these issues, Sephora's customer care team is available through their customer care number +61 2 8880 9446 from Monday to Friday between 11:00 am - 7:00 pm. Or you can always email them.